Horst Paul Albert Bohrmann was his given name. He adopted Horst P. Horst as his working name and went on to become an icon of American photography. Horst began by studying architecture and assisting the famous architect Le Corbusier in Paris. He became acquainted with George Hoyningen-Huene and began his career as a photographer. By 1931 he was working for French Vogue. He had mounted a well-received exhibit at Germain Seligman’s gallery in 1938. During his stint with the magazine, he created the signature photograph of his career. The photo was made just hours before Horst left Paris to move to New York. Compare the recreation from the video to the original made in 1939. The photograph is famous for its sensuality showing the model with raised arms, tilted head and slightly undone corset. It served as the inspiration for a scene in Madonna’s video “Vogue” at 4 min 30 sec. L to R: Mainboucher Corset by Horst P. Horst next to Madonna’s homage to it. Relocated to New York, Horst concentrated on his photography at Vogue that he had begun in Paris. His success in Europe earned him work on some of Vogue’s most prestigious shoots. As portraiture became more and more popular at that time, he became well known in New York society. He made photographs of notables — Harry Truman, Coco Chanel, Truman Capote, Salvador Dali, Marlene Dietrich and Andy Warhol. In 1940, he made the most famous of all of his Vogue covers. He photographed Lisa Penn Fonssagrives who shaped her body to form the letters V-O-G-U-E. In May of 1942, working with Vogue’s legendary art director, Alexander Liberman he created “Having a Ball”. Both photos are in the opening photo. Horst applied to become a citizen of the United States in 1940. It was a year before the United States declared war on Nazi Germany. Horst joined the Army in 1942 and went to basic training in 1943. He worked as a photographer during his service returning to Vogue in 1945 where he worked alongside Irving Penn and Cecil Beaton. Fashion became an important part of the culture following the defeat of Germany and Japan. Collections from European houses were in high demand. Horst innovated his style in response to work by Richard Avedon at Harper’s Bazaar. His photographs reflected his new excitement and verve behind the camera. Diana Vreeland became editor of American Vogue in 1961. She encouraged Horst to travel the world photographing people in the upper classes. This aligned with his love of making portraits. It offered him the opportunity to photograph not only individuals but still lifes and architecture, two of his passions, as well. Vreeland left Vogue in 1971. Horst remained very involved in locations and celebrity portraits. He photographed Jerry Hall in Barbados and Duran Duran in London. While in New York his subjects included Brook Shields, Tom Wolfe, and Roy Lichtenstein. He photographed for clients — Chanel, Yves Saint Laurent and the New York City Ballet. In Europe, royalty lined up to sit for him. Horst worked more and more for House and Garden magazine in Europe, the Middle East, Central America and in Asia. All the time he continued to photograph for Vogue. At the same time, he worked increasingly on writing books and mounting exhibits of his work. His last commercial project was in 1991 for British Vogue. Horst P. Horst died in Palm Beach Gardens, Florida in 1999. 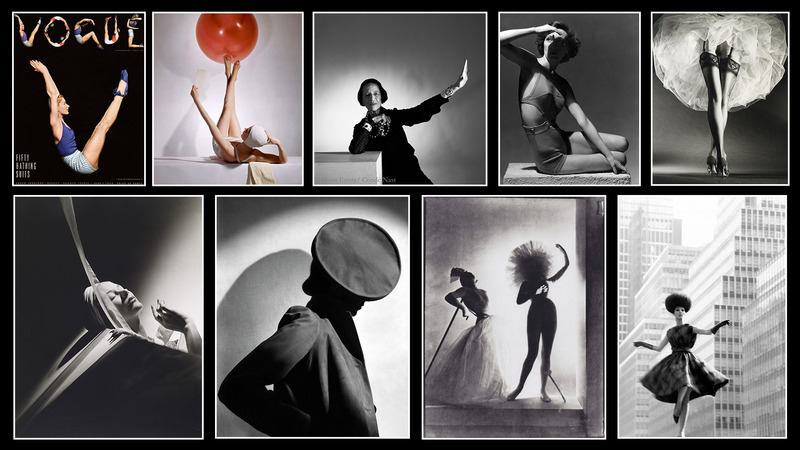 Thanks to Highsnobiety for a bio of Horst P. Horst.